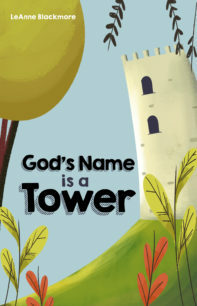 "You are my strong tower--"
This line from the book resonates. With its whimsical illustrations, the book captures the essence of that statement. A child's faith is innocent and our faith should be like that, too. Each page affirms the truth of the Bible and of Jesus. It is a wonderful book that will build up a child's confidence and strength. Little truths about blessings, how Jesus sees us, the power of His word, and so on are brought to the young reader as a beautifully written rhyme. One unique addition, which I haven't seen in any other book, is the added Scripture at the bottom of the page. It relates to the story and gives even more depth to the truth taught. Of course the best part was saved for last: "For You are my Comforter, You are my Guide, To You I will run-- I'll find shelter inside." This may be written for children, but adults will benefit from it, too! A lot of Nativity stories are rehashes of the same thing. 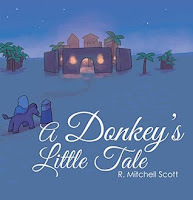 What I found unique about A Donkey's Little Tale was that even though the nativity story had been told through an animal's point of view before, this tale had a fresh perspective. The story flowed off the tongue quite well. The cadence is sure to delight the little reader. I adored the simple illustrations. Almost a Precious Moments vibe to it, the elegance and cuteness is something that will keep little ones interested as the story of Christ's birth is read. Arranged marriages, sacrifices, truths, and a long-lost heir collide in this Young Adult novel that has a deep faith and morality thread woven into its tapestry of words that it becomes a natural part of the book without destroying the fantastical world which is part medieval, part steampunk, part early 19th century eras. 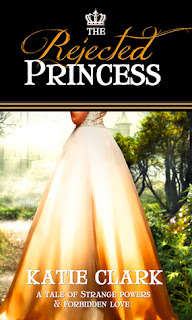 Such is the life of a princess, but Roanna discovers a hidden secret about her, her family, and the three kingdoms. With Benjamin's help, they have to discover the truth and face horrible practices in order to protect everyone within the kingdom. A true romance written with overtones of Beauty and the Beast. When I say 'true romance', I am meaning that this book is reminiscent of the older stories from the 80s and 90s. The love story of the Harlequin romances, but the cleanliness of the Love Inspired line combined with Renee Blare's unique writing style gives a pure, romantical tale that also portrays an accurate insight into PTSD. Fast-paced and heart thumping, the action flows from one scene to another. 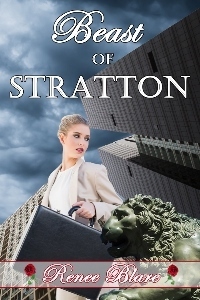 If I had to find one flaw that stood out, it is that the book could be longer, have a little more description and scenes added, and the transitions from one action to another smoothed into narrative that's less jarring at some points with the story. The description states: "Daily Spiritual Food for our kids' Hearts, minds, & souls". While the book gave sound advice and encouragement I did find it tedious. It doesn't pertain much to homeschool children but for those in public and private institutions who face the fallen world day in, day out these chapters are helpful and has a good guidance to lead them in more godly ways.